Ingacio is currently a Professor (Profesor Titular) of Corporate and Insolvency Law at the Universidad Autónoma of Madrid (Spain). He has earned a Ph.D. in Civil Procedure from the Università degli Studi di Bologna (Italy) and a Ph.D. in Commercial Law from the Universidad Autónoma de Madrid (Spain), and his LL.M from University College London (UK). A qualified lawyer, Ignacio was Of Counsel of the Business Restructuring and Insolvency Practice of Hogan Lovells, LLP (Madrid Office, then Lovells LLP), until he joined the World Bank. Ignacio is currently a Senior Legal Consultant at the World Bank’s Financial Sector Practice and Consultant on insolvency-related matters to the IMF´s Legal Department. Ignacio is the Coordinator of the Comparative Law Module of the LLM of La Sapienza, where he is a tenured lecturer in several postgraduate degrees. 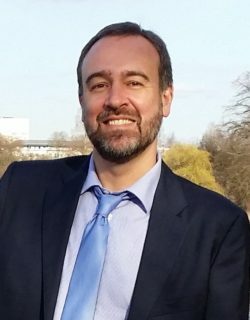 Ignacio is currently Visiting Scholar at the Institute of Monetary and Economic Studies of the Bank of Japan, and has been visiting scholar in a number of universities (for example, the University of British Columbia-Vancouver, the Università di Roma La Sapienza or the Universidad Adolfo Ibáñez of Chile). He has been guest lecturer at the Università di Torino (Italy), the China-EU School of Law (China), University of Law and Political Science (Beijing, China), or Asia Institute of Transnational Law (Duke University/University of Hong Kong). Ignacio is a Member of the Board of Director of the International Insolvency Institute, where he co-Chairs the Academic Committee. He is also a Member of the Academic Board and a Founding Member of the European Banking Institute. Ignacio has represented the World Bank in UNCITRAL´s Working Group V (insolvency) and Spain and the International Insolvency Institute in Working Group VI (secured transactions). His research interests (present and former) as well as legal practice focuses on Insolvency Law (corporate and sovereign), Corporate Law (business and company restructuring) and financial and securities regulation, on which he has published numerously.